Having trouble making healthy choices at the grocery store? You might want to check-out Fooducate’s app which will scan the barcode on a food and then give it a grade based on your personal dietary specifications. They also have apps geared towards people with celiac disease or gluten allergies and for those with diabetes. Label reading can be tough and these apps can remove some of the confusion for you. Fooducate also has a database of foods online to help you decide which foods are the better choices. In addition, they have a blog and nutrition tips. 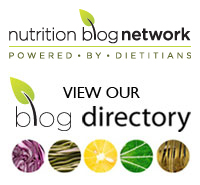 Great resources for anyone interested in nutrition. Tags: apps, follow friday, fooducate, grocery shopping | Permalink.